Ships tomorrow if you order in the next 16 hours 27 minutes. Eye Doctor recommended Similasan Dry Eye Relief eye drops stimulate the eyes natural ability to relieve symptoms of dry eyes such as redness of eyes and lids, sensitivity to light and the sensation of grittiness. 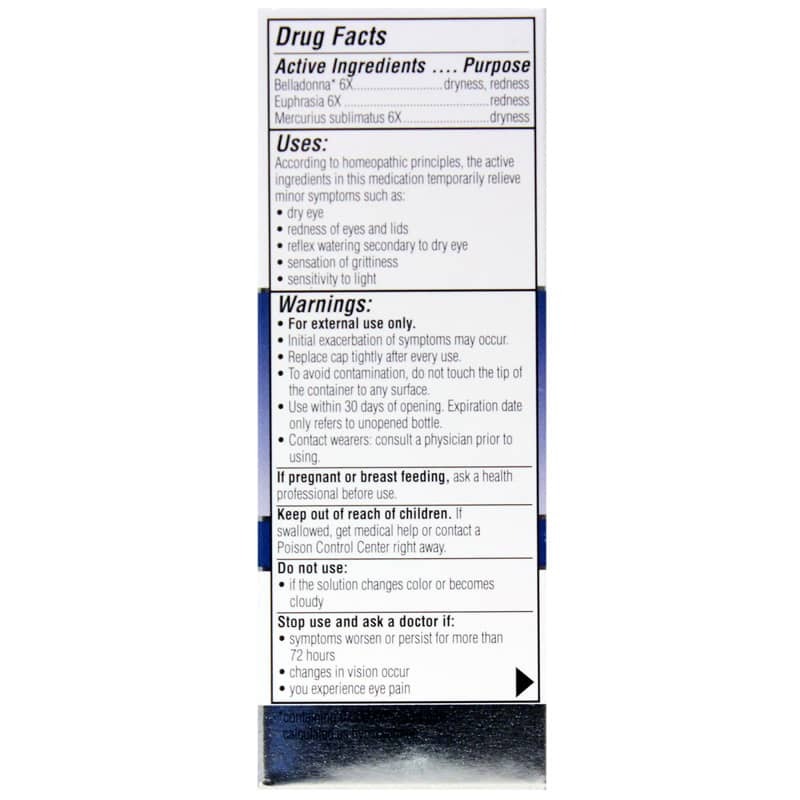 Active ingredients are microdiluted in accordance with the Homeopathic Pharmacopoeia of the United States, and are therefore non-toxic and have no known side effects. 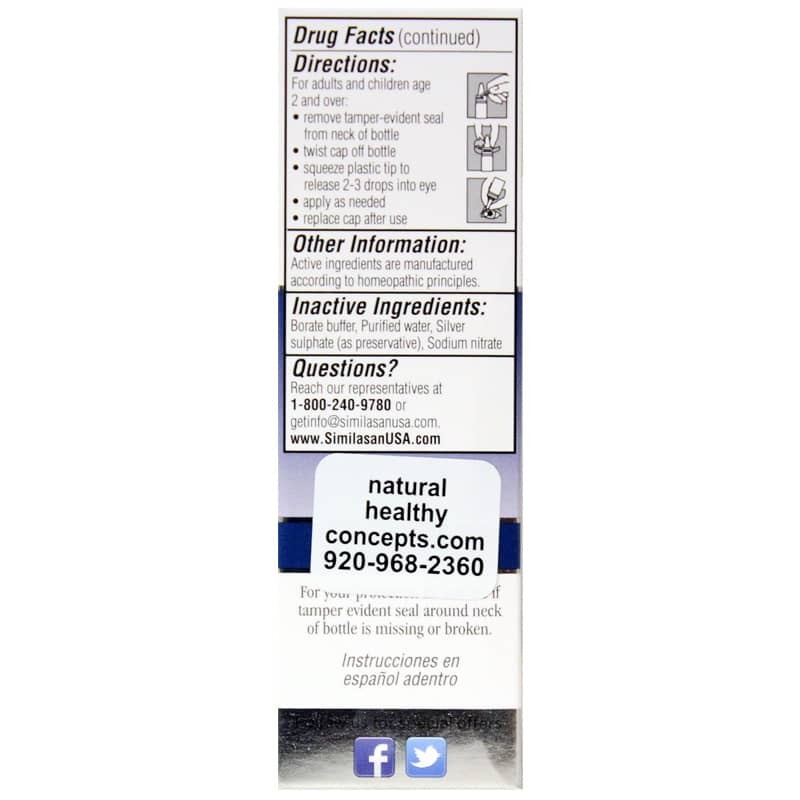 The active ingredients in Similasan Dry Eye Relief eye drops work well with no known side effects and no known drug interactions. Initial exacerbation of symptons may occur. Use only if bottle seal is intact. Discard open bottle after 30 days. I've now ordered my 2nd bottle of Similasan Dry Eye Relief and I like it much more than the leading brands whch I had to use repeatedly throughout the day. I use Similasan once in the morning & again if I've been out in the wind, supplementing with the Similasan Moisture Eyes. I've seen a huge improvement. These eye drops are very soothing and don't sting like some OTC brands my Opthamologist recommended. I'm also using Moisture Eyes, but haven't used long enough to make an assessment yet. I see my eye Dr. next week & plan to show him these products. Be interesting. I like the dry eye relief drops, they work well, but the bottle dispenses too much of the drops and that's wasteful. Bottle doesn't last very long at this rate. My doctor recommended these drops, and I've been using them for the past year. I have used drops in the past that sting a little when I apply them, but these drops always feel good and soothing. I also like that they come in a glass bottle. I keep an extra bottle in my purse and am always glad to have it with me when I'm out running errands and shopping.